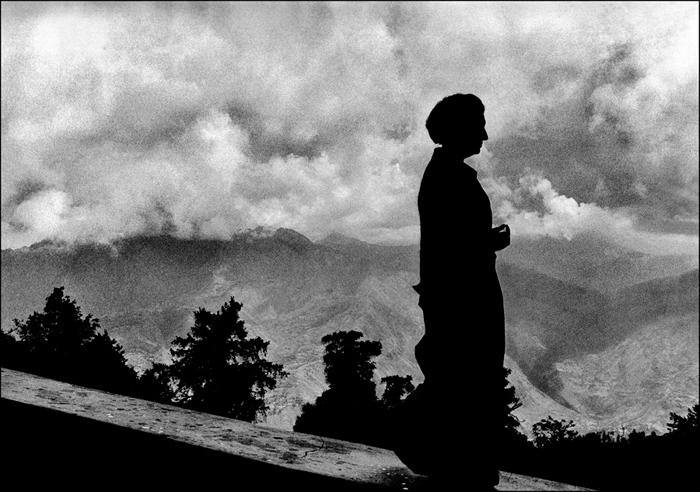 Raghu Rai is a New Delhi based photographer born in 1942 in a small village called Jhang, which is now part of Pakistan. Rai started photographing in 1965 at the age of 23. In 1971, Henri Cartier Bresson was very impressed after he saw an exhibition of Rai’s work at Gallery Delpire, in Paris. Rai joined the illustrious Magnum Agency in 1977 as a first Indian photographer. Over the years, Rai has photographed his home country India documenting a changing canvas of the country along with important essays on Mother Teresa, His Holiness The Dalai Lama, and the late Indian Prime Minister, Indira Gandhi. His powerful work on the Bhopal gas tragedy won him huge accolades. His work reflects and in a sense, perhaps justifies the intense complexity of India. He has traveled through most of India documenting a new born country in flux. He has published over eighteen books and exhibited in India, USA, Europe, Australia, and the United Kingdom. His work is in the permanent collection at Bibliothèque Nationale, Paris, France. 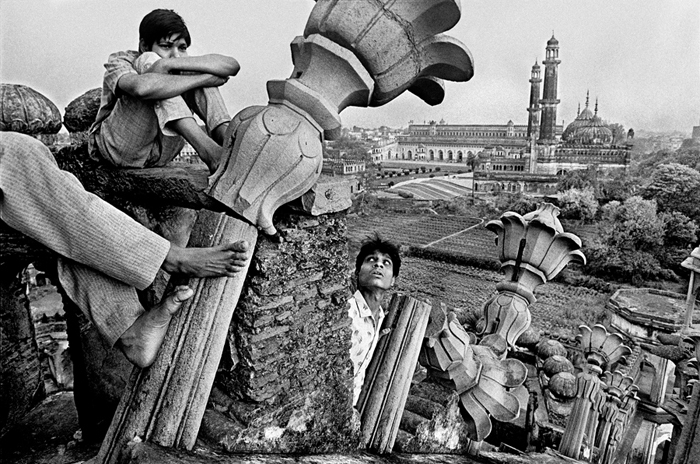 In 1972, Raghu Rai was awarded the prestigious ‘Padmashree’—one the highest Indian civilian honors, first for a photographer ever, for his work on the Bangladeshi refugees of war. I attended a workshop by Rai in 2009 and was instantly drawn by his spiritual approach towards photography, which he describes as a coming together of body, mind, and soul. 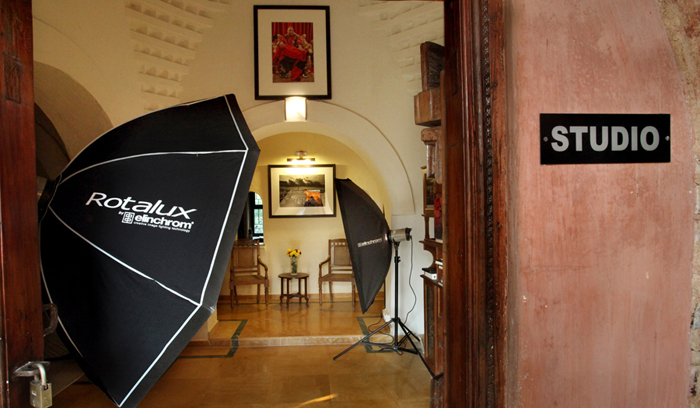 One of Rai’s numerous accomplishments is a school he recently founded in India, RAGHU RAI CENTER FOR PHOTOGRAPHY. I had the opportunity to interview him about this project for Visura Magazine’s In Conversation Series. Alakananda Nag: Recently, you inaugurated the Raghu Rai School for Photography in India, after photographing for 45 years. Why did you decide to build a school? 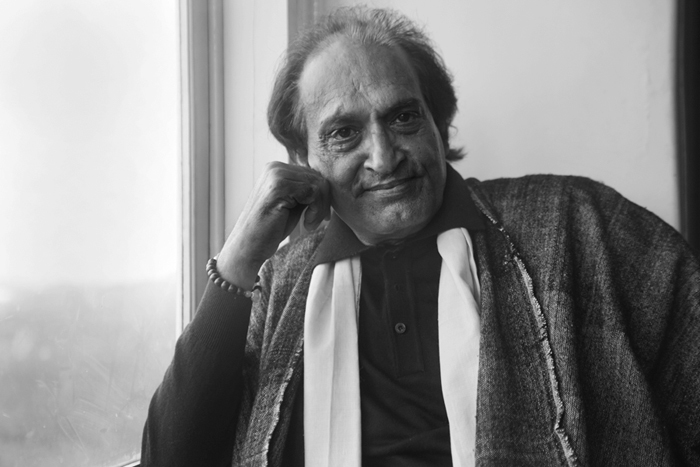 Raghu Rai: For two reasons: 1) my son Nitin Rai, a photojournalist; 2) the Sri Aurobindo Center for Arts suggested Nitin and I start a school for photography, which I thought was a good idea. The purpose of photography is to document the times we are living with sensitivity and commitment, because this is going to be tomorrow’s photo history. And, documentary photography is not being taught with this in mind. So, my son said, Baba, why don’t we start our own school? There was an offer from a big agency to Magnum photos, asking to give them the entire archive to sell and if need be, sometimes alter. I took serious objection to this offer because at the end of it all, Magnum is known for its commitment to documentary photography, so we cannot possibly agree to this. Similarly, anything and everything is happening in photography today and now that there are more galleries showing photography in this country, there is a hotch-potch of everything. Dekho koi toh photography ki purity, commitment ko rakken. (translation: See, someone should keep the purity and commitment in photography). AN: Describe your main objectives at the Raghu Rai School for Photography? RR: Nitin has started with the beginners course, and we will give one year diplomas and three year degree courses. We have a beautiful farm, about 14 kilometers from here. It is like jannat (heaven). I landscaped it for four months and it is like nature’s magic. The environment is beautiful. Serious stuff will start happening after a few months. As part of my mission, aside from the school, the second thing I am doing is an archive of 150 years of photography in India. And, I will tell you why. Youngsters are doing two, three, four exhibitions in a year. When we were young, we had exhibitions but maybe one in several years because we were scared. We had that kind of sensitivity and responsibility: ke hamare senior kya kahenge (what will our seniors say). Digital technology gives you the quick, fast-food kind of playground to play with, and now everybody thinks whatever they are doing is great stuff. I have realized that even 150 years ago, when British photographers and photographers like Raja Deen Dayal came to India, the body of work they left is a photo history of those years. These two things are very precious to me: the school and this archive I am compiling. Very precious. Anybody teaching photography anywhere—call it a responsibility or a liability—has got to know what has gone on in the past, what is going on in the present and where the future is headed. I hope that at least, two, three, four, or five young minds really have the passion and madness to receive and explore. AN: What would you say then is the mission of your school? RR: To create individuals who go on their own journey and explore India at their own terms. AN: What kind of resources will the school be providing for its students? RR: I have books and photographs from almost all the important photographers in the world, in addition to forty-five years of my own work. Plus, there is so much information available through internet. However, I also want to offer other resources. My contemporaries and I—we started taking pictures in the late 60’s, early 70’s and we did not have anybody to direct us. Equipment, film, books, and magazines were unavailable. Today you press the button and the whole world is there for you. Back then, we did not have people to guide us in the right direction. And, I have wasted decades figuring these things out. Even when I look at my own work for instance, you can see the specific steps and the overall journey unfold. In creativity you cannot stop, because life and nature are ever challenging and changing; and they do not let you stop if you are alert and present. So, my work has evolved over the years and I can literally explain and share that evolution in terms of photographs. I am a product of my own personal experience. I am a very practical man and I have always been on the move. I do not believe in big theories and ideas because these are secondary things; they are stale. It is more about thirst and the ability to make yourself available. Afterwards comes the moment of understanding and realization. The idea must be born out of the experience; when I experience something I can then talk about the idea. I do not want the new generation of photographers to be spending years exploring and getting lost. Also, I do not want to produce another Bresson or another so and so. I would like them to be a kind of their own. AN: What is your goal for the school, both in a personal and professional sense? RR: Dekhiye aisa hai (see, it is like this), there are no guarantees: I take no guarantee and I give no guarantee, because explorations are explorations. A creative journey is very personal to every individual, including how much passion and madness you have so you can go on exploring the world. If there are twenty students in a class, maybe one will be mad and passionate, and the others are happy, snappy people. You cannot guarantee or decide what will be the outcome. This is creative business. The only goal I have is whatever I can have available to them in terms of experience and how to do it. AN: Why is it important for India to have a school of this nature? RR: I think every country should have a photography school like this one, provided there are people committed, who can and want to share their inner and outer experiences with simplicity. It should be done. I have received enough from my country and I should give back, if I can. AN: Do you think the timing is right for the school? RR: Well, I do not know how to judge that. I do know with certainty that when the time comes for any idea to materialize, there is nothing stronger or more evident. I’m not doing this school in collaboration with, or in connection to—I am doing it now because it is happening now. AN: What advice would you give to Indian emerging photographers, including me? RR: You know, I have one gur (jaggery) for everybody. Do not take all those good pictures that you’ve seen before, or that you’ve done before. You see, this is the biggest computer God has installed in each one of us (pointing to his head), and its memory can be extended to anything. The disastrous part of this computer is you cannot delete any memory from it. When you stem from memory, you produce secondary kind of work, even if they are good and competent images. Again, good, competent images derive from the memory. When images come from the heart, then they are going to be…and that is the exercise we are going to teach: how to work from your heart. AN: I think that is a very important thing you have said because there is a lot of tussle between young photographers, and sometimes you see the work of somebody and it does remind you of somebody else’s work. Is that what you are trying to persuade young photographers to stay away from? RR: Dekho aisa hai (See, it is like this), there are treasures waiting for everybody, but the question is—who shall find them? And, I believe that only those explorers who have the passion and madness to go on will find them. It is very logical and it is that simple. Aap gaye, aapne yeh dekha aur yeh uthake le aaya (you went, you saw, and you picked it up). God is happy, you are happy. AN: What are some of the long term goals of the school? RR: Only He knows (laughs). Aisa nahin hota (lt does not happen like that). See, it is not a commercial place, college, or school. Kahan le jayega bhagwan tumhe, tumhi jaano (where God may take you, you will have to figure). AN: Not everybody thinks like that. AN: I understand. Will there be any scholarships? RR: Yes. The other day, one boy came—he is a rag pickers son—who is very passionate about photography. So, I said, yes sonny, come! You don’t have to pay, of course! I have such high expectations from life and life also might have some expectations from me. So, I have to match that, for sure. AN: What do you think is the current state of Indian photography and how do you think the school will make a difference? RR: Dekhiye (see) current state of photography, thanks to cell phones, is that anybody can take a picture and say, hey it’s very good, and then buy a DSLR camera. So, there are a thousand times more photographers than there has ever been. Many people have many great ideas. By the time, they take practical shape, they have been diluted, and they become as ordinary as anything else. It is not a big deal to have great ideas; what is important is that when the magic happens, it evolves. AN: With the present state of Indian photography, how will the school make a difference? RR: I don’t know how the school will make a difference. It will depend on how many dedicated souls will connect with us, eventually. So much photography is happening, it has multiplied a thousand times, maybe more, I do not know. Everybody is a photographer and feels like they are doing great work, which is not a bad thing. As I said, it is the responsibility or liability of every photographer to know what has gone on in the past and what is going on in the present in the rest of the world. Unfortunately, in today’s fast food generation, photographers do not have time. I was looking at the Master Class by World Press Photo. They sent me their publication: a portfolio of six–eight students. A bulk of it is frivolous; the fact that they have held a masterclass in Amsterdam is a big deal, when it is not. Things are getting diluted and frivolous, unfortunately. You see, in the name of being different, you can not become frivolous. You have to have a certain connectivity. AN: As an accomplished photographer, what are the things Indian photographers should concentrate on while they are doing their work? RR: See, it’s not a very good idea that I should be giving them ideas about their life and their concerns (laughs). But I can say, certainly not the themes that have been done before so many times, a million times. As I said, don’t take all those good pictures you’ve seen before. And in any case you know, India is a multi-layered, multi-cultural society and the layers are unbelievable. Explore them in different contexts. AN: What advice would you give to aspiring photographers worldwide? RR: Listen, the rules are going to be the same for everybody: here, abroad, anywhere. They say art is an international language; creativity is an international language. The basis and the definitions have to evolve accordingly, as you go along. AN: What could the international community do to support the school? RR: I would definitely like to invite good photographers, some of them who are my friends, to come to Delhi to introduce them to our students, and if they can send their books, that is all I would like. We shall share these with our students. AN: I attended a workshop by you in Calcutta, where you said that taking a good photograph is the coming together of mind, body, and spirit. Can you say something about that? RR: The opposite word of yoga is viyog or separation. What is happening? You are sitting somewhere, or you are walking somewhere, and your mind is thinking of something else; so, your mind and spirit are not together. It is that simple. What is yoga? That you control your breathing and you do physical exercise, so that your body and mind come together. And when your body and mind come together, then the spirit takes charge. AN: You keep mentioning the word darshan. RR: Because darshan is a big thing. Darshan is so much more than seeing, witnessing, or glancing. It brings everything together: the energies, vibrations, physicality, and the visual experience. When everything is put together, it makes a whole. AN: Thank you very much Mr. Rai.